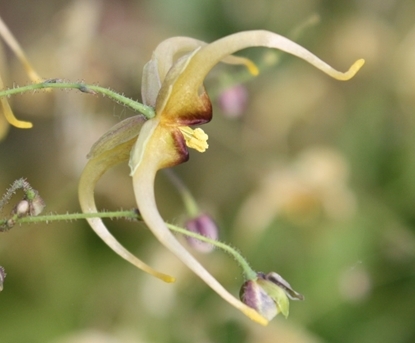 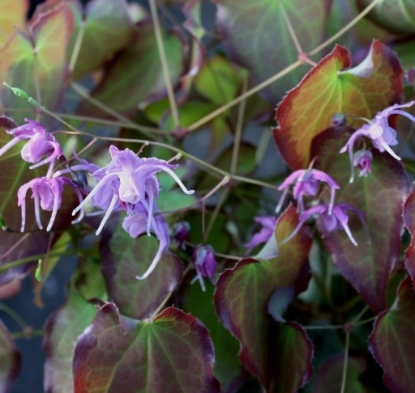 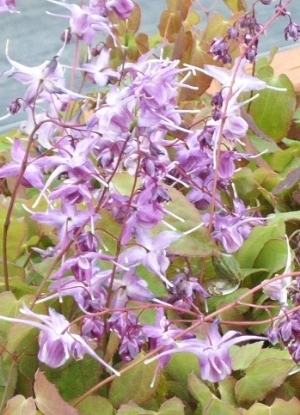 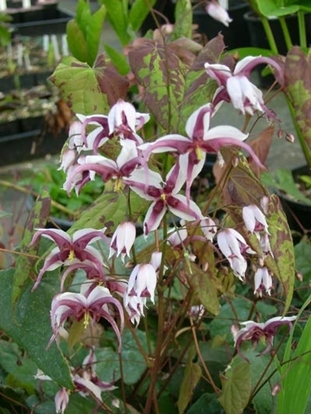 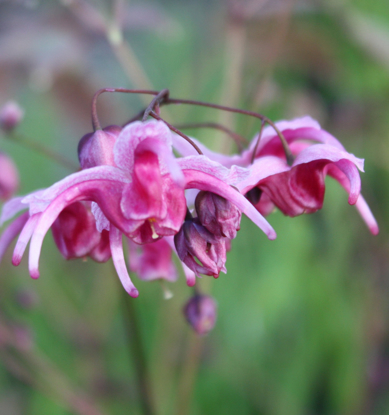 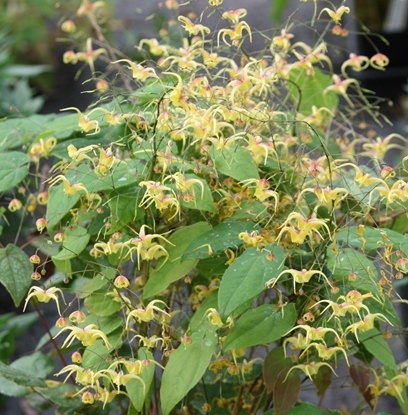 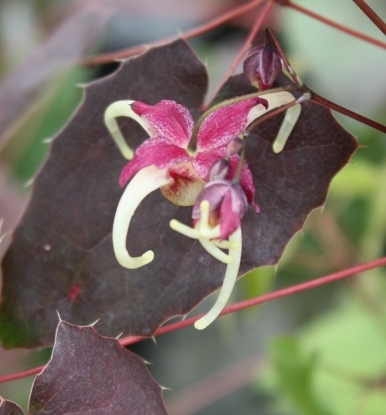 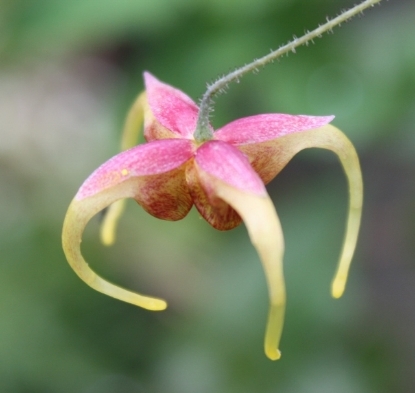 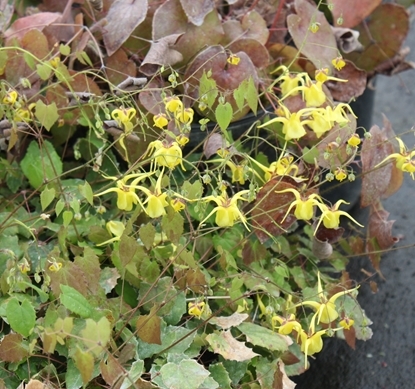 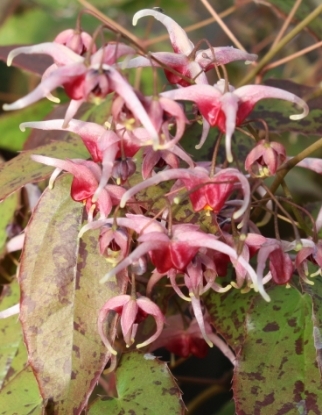 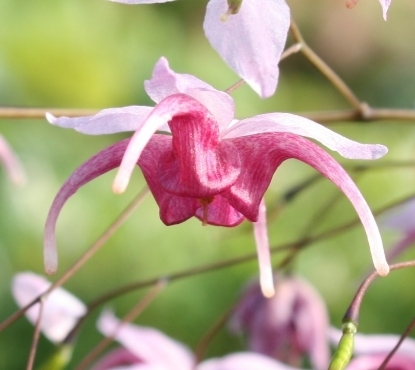 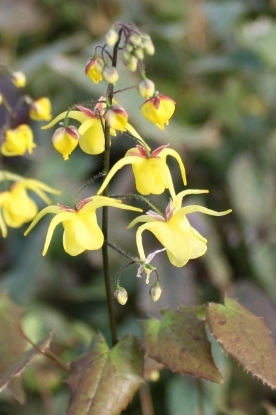 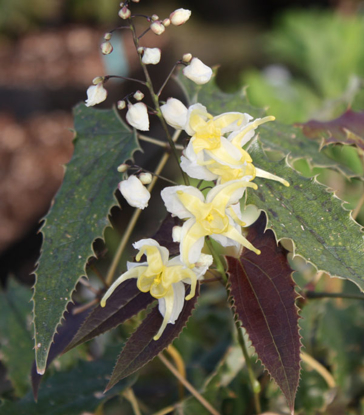 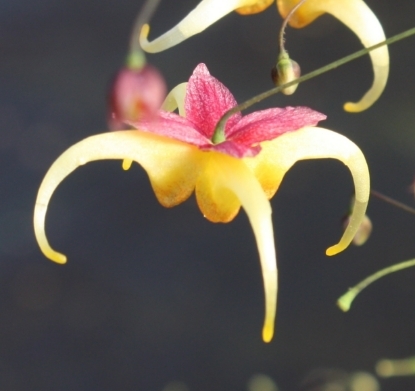 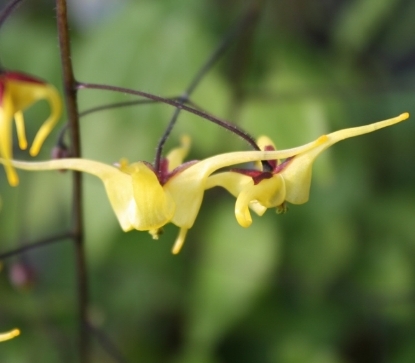 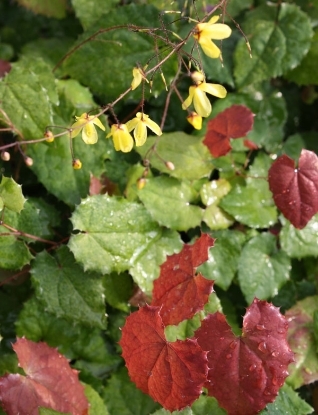 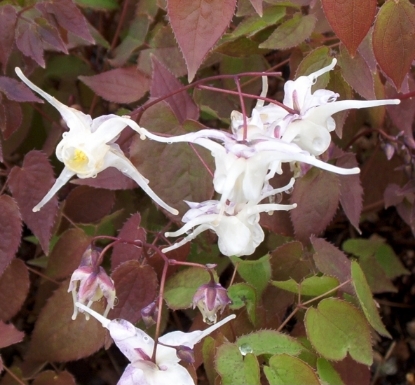 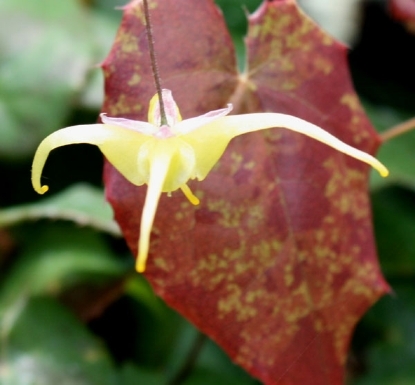 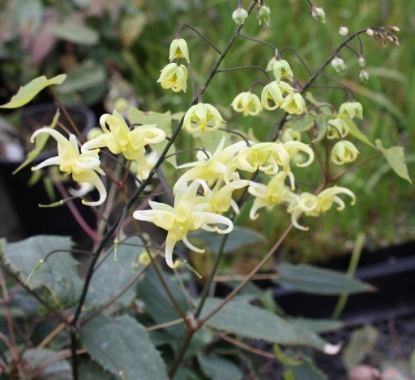 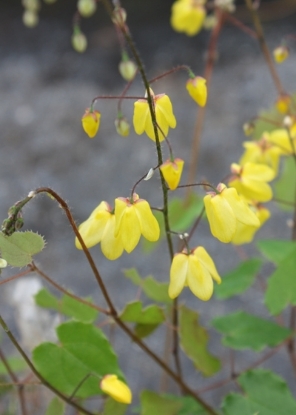 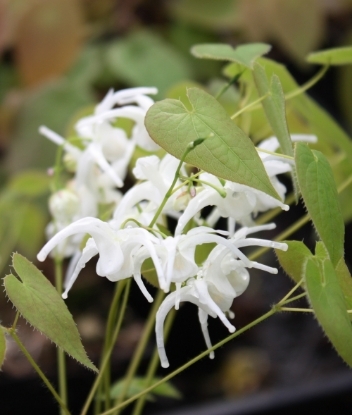 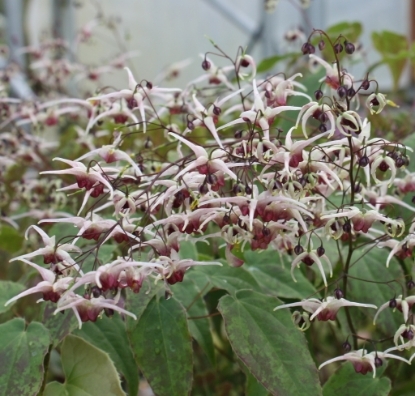 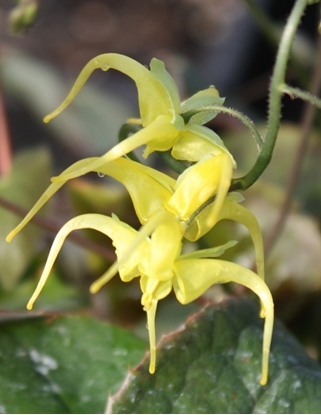 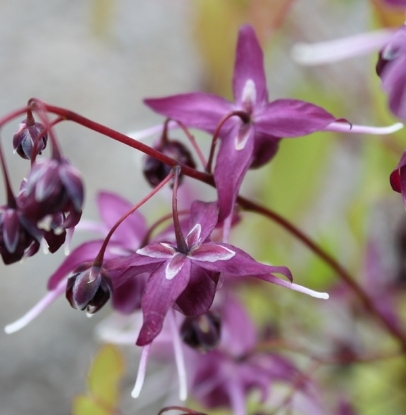 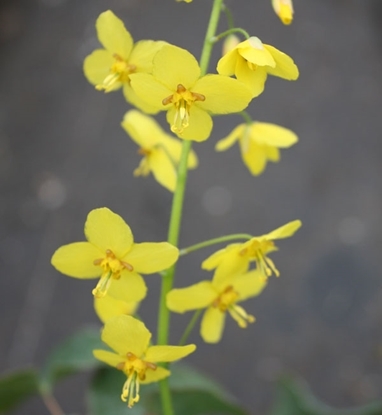 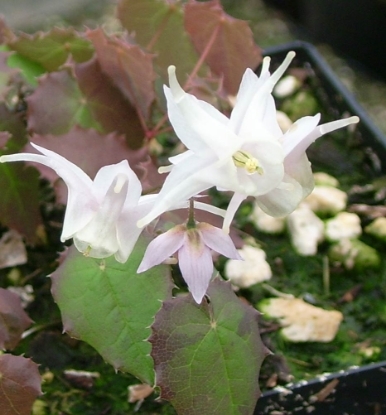 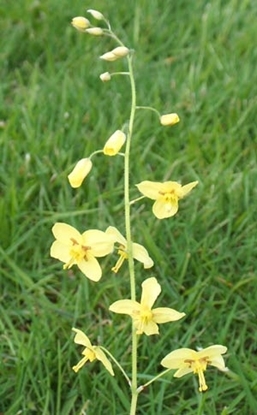 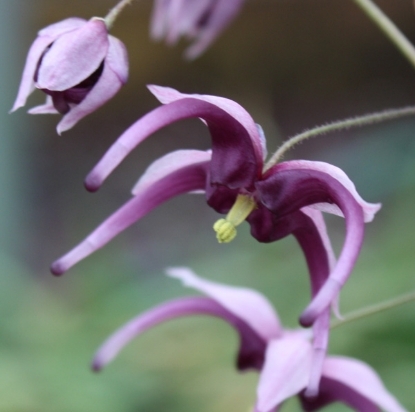 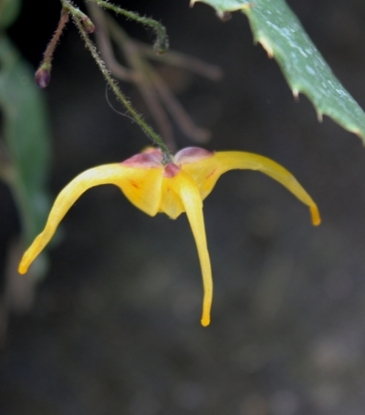 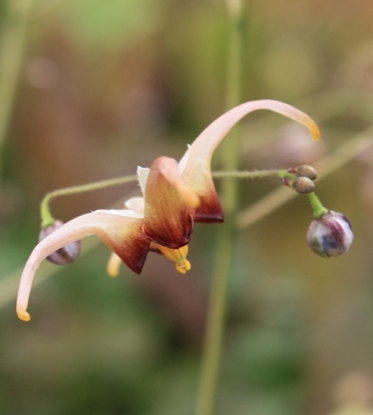 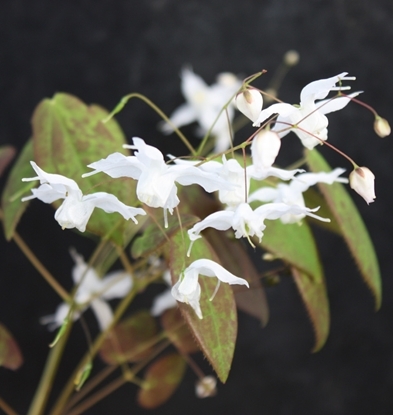 EPIMEDIUM BARRENWORT, BISHOP'S HAT. 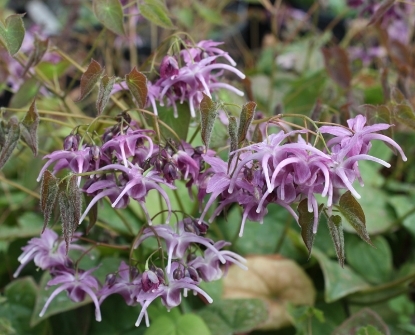 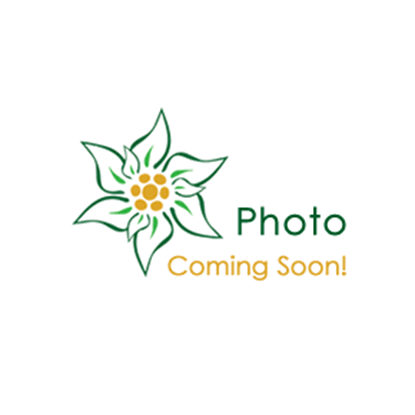 Excellent groundcovers or specimen plants, depending on the growth rate. 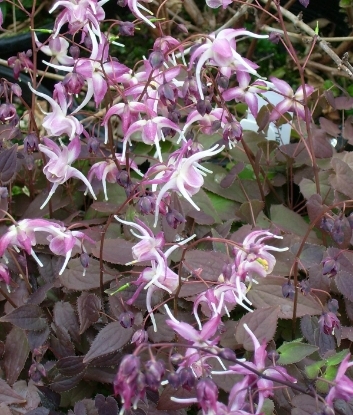 For shade under trees and shrubs. 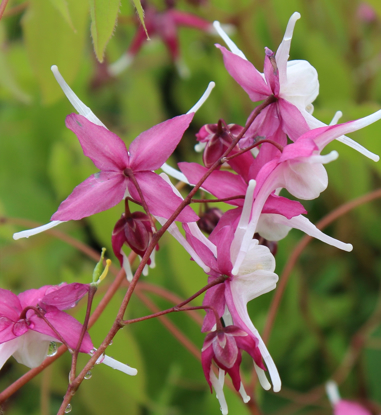 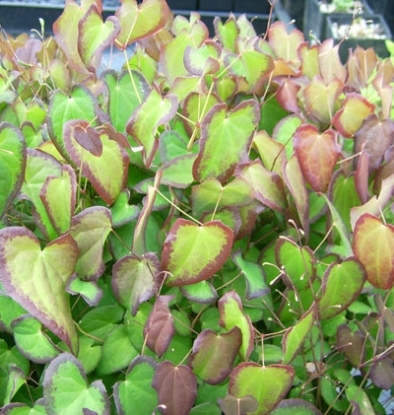 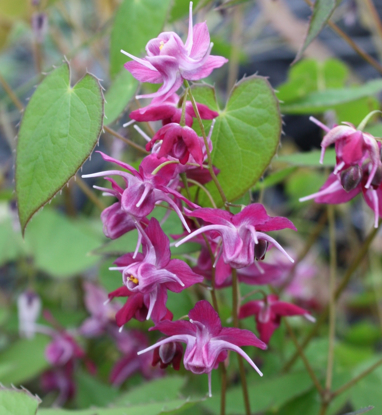 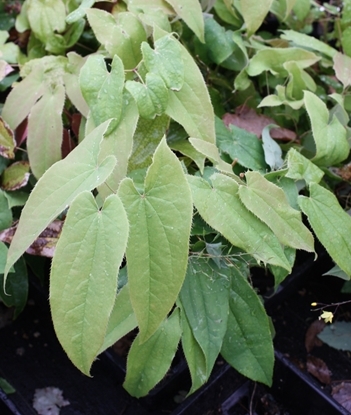 Drought tolerant once established, they perform well in dry shade like almost no other plant. 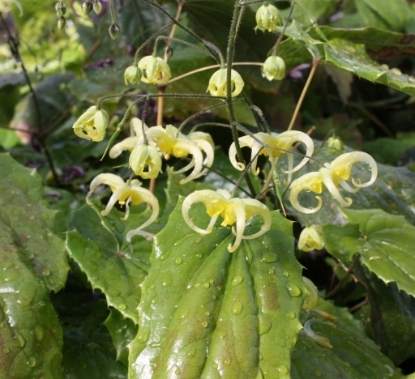 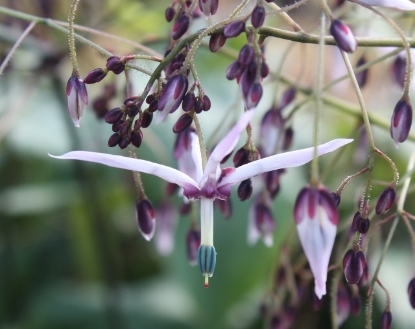 E.grandiflorum needs more moisture in less shady areas. 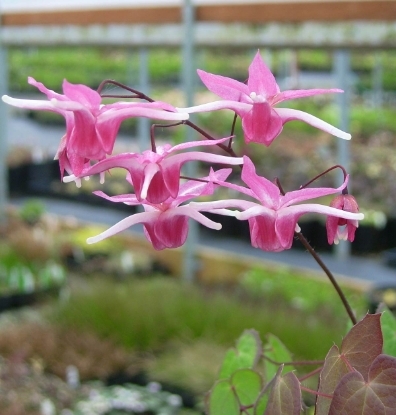 We have more in the collection and we'll add to the list as they become available.